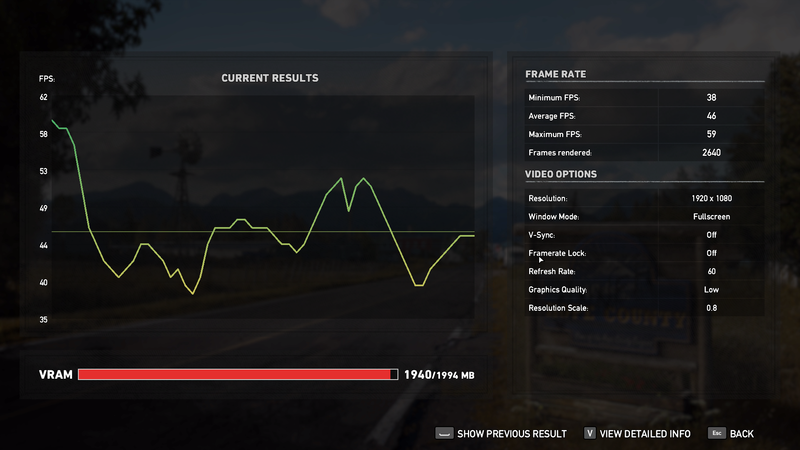 How does the Vega 8 inside the Ryzen 3 2200G perform against a budget rig sporting the RX 550 / GT 1030 in Far Cry 5? The game runs on the Dunia Engine which was responsible for the visuals of Far Cry Primal. 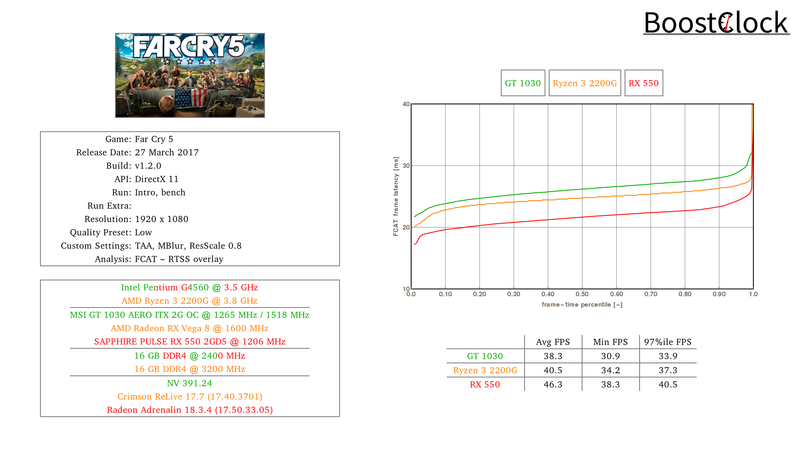 For FC5 the developers added Rapid Packed Math and Shader Intrinsics to the engine which should help AMD dGPUs to be better utilized. One can aim for 30+ FPS gameplay with 1080p and low quality preset. 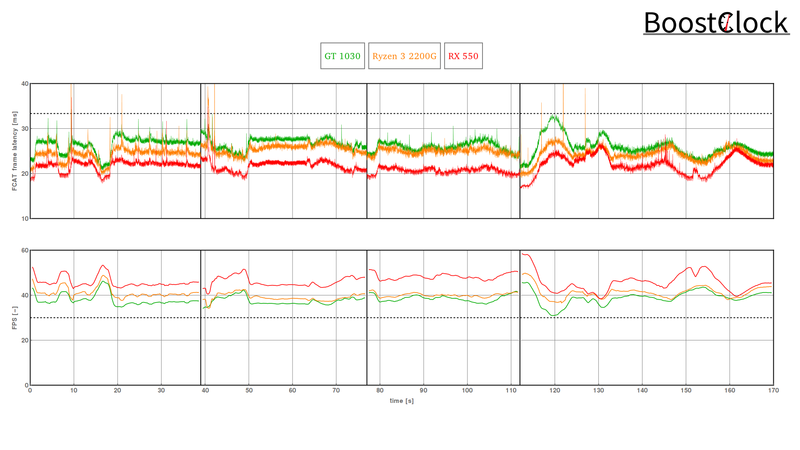 To stay within the VRAM size of the cards and the APU the Resolution Scale was set to 0.8. 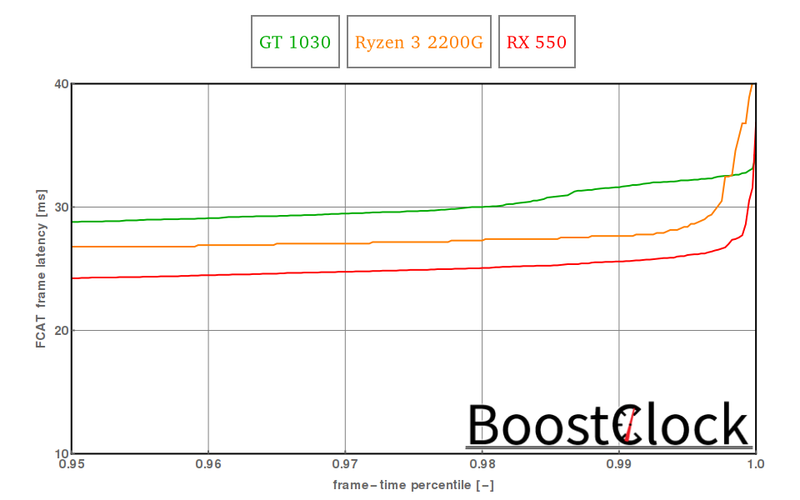 Although the Polaris based RX 550 can't take advantage of RPM it come out on top, it is 20% faster than the GT 1030. 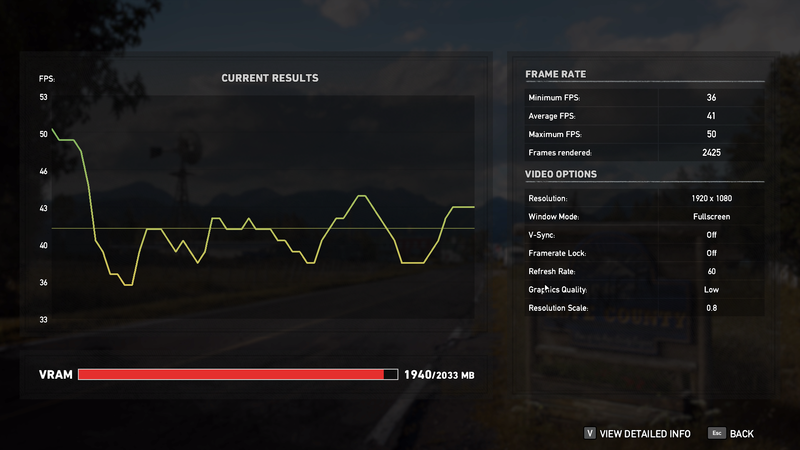 At the time of recording the Game Ready driver (391.35) was not available from NVIDIA for Far Cry 5, but a quick test showed no performance increase on the GT 1030. AMD didn't update its drivers for Ryzen APUs since release date. 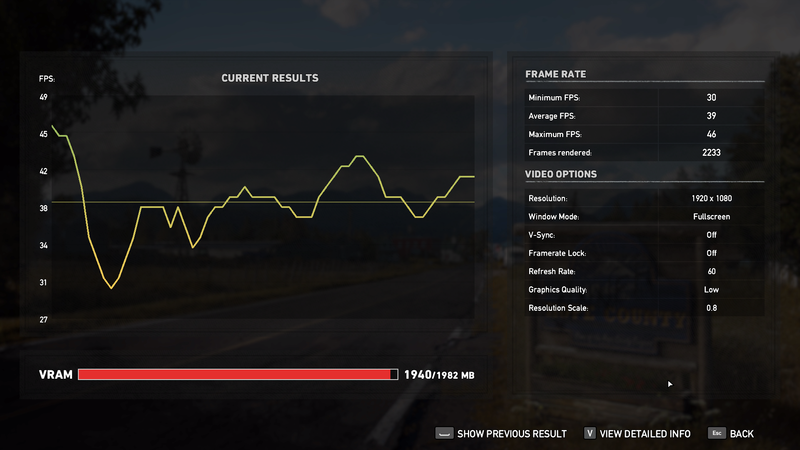 The RX 550 was tested with the latest Adrenalin Edition GPU driver package (18.3.4) available, which contains optimizations for Far Cry 5.